Joshmitran Pet Aviarry is one of the largest importer, exporter & supplier of Exotic Birds, Mammals and Reptiles in Malaysia. 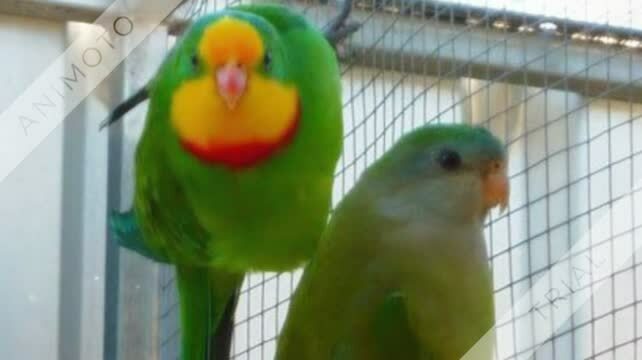 We import, export and trade wide range of birds, parrots, reptiles, zoo animals and farm animals to bird shop, pet shops, pet wholesalers, resorts, home stays,farms, birds parks and zoological institutions in Malaysia. Joshmitran Pet Aviarry is a genuine importer and exporter of live birds and live animals world wide. Our Company is located at Penang, Malaysia. Established since 2005, we had been providing consultation and animal brokering for zoo, bird parks, farms and traders. We provide wide range of professional services related to livestock, pets and zoological industry in Malaysia. Our objective is to provide the best animals and pets to all loving homes or organizations. Thus we place great emphasize on animal welfare and rights .We believe in grooming humanity and loving world for the future generations. We are succeeding in our own way to build a loving world.Our animals are hand picked and selected from world reputable breeding farms and zoological institutions. Customers' satisfaction is guaranteed. We also provide top quality imported puppy and kitten brokerage services. We find and import puppies and kittens as per customer's request from top breeders. Joshmitran Pet Aviarry has the right to refuse any sale, to anyone, for any reason, at any time without explanation. By placing a deposit on our animal/pet/bird(s), you accept these policies. 50% deposit at time of order payable by check or money order unless other arrangements are made. Balance is payable at the time of delivery by cash only unless other arrangements have been made prior to delivery. Your order will not be considered placed until we have received your deposit. Please contact us to bank in deposit. Refundable Deposit: If the bird/pets you have on order dies in our custody and we are unable to fill your order, your deposit will be refunded in full, however, if you decide not to follow through with your purchase, you will forfeit your deposit, no exceptions. Bird/pet/animal can be picked up at Joshmitran Pet Aviarry with an appointment only. Please be courteous of our time and be prompt. Please call if you will be late or need to reschedule, we will do the same. Bird/pet/animal can be picked up at any show we are attending. Please contact us in advance for our show schedule or visit our site for show schedule information.